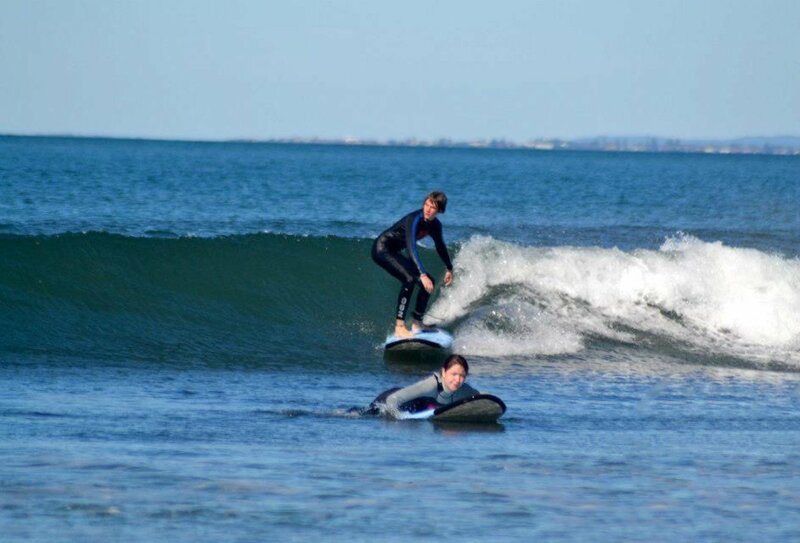 Learn to surf in one of Australia’s best surfing spots! 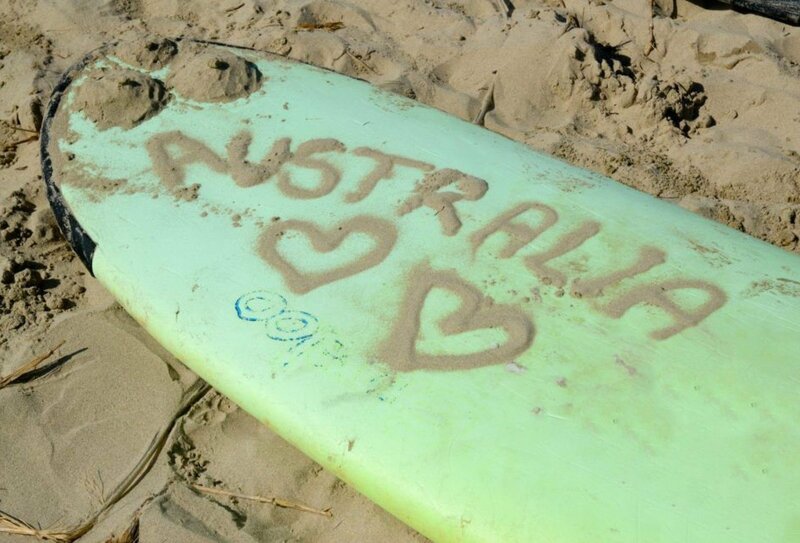 Learn to surf Down Under! 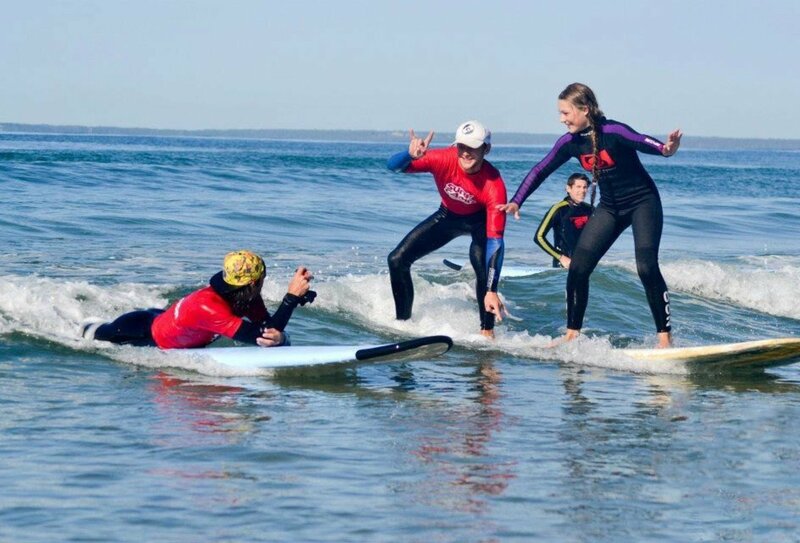 Learn to surf at Gerroa, Australia’s best learn-to-surf beach, located just 2 hours away from Sydney. 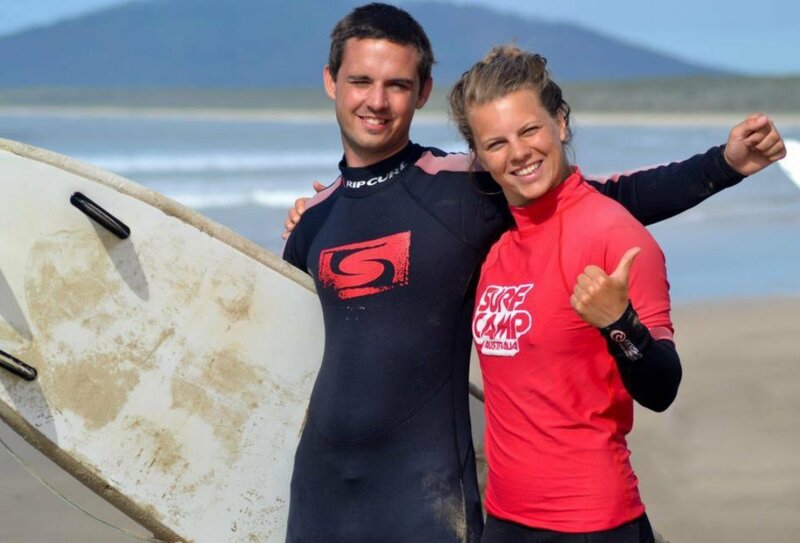 Stay in beachside cabins at Surf Camp and enjoy the thrill of an intensive 5-day surfing course in one of Australia’s most popular surfing spots. 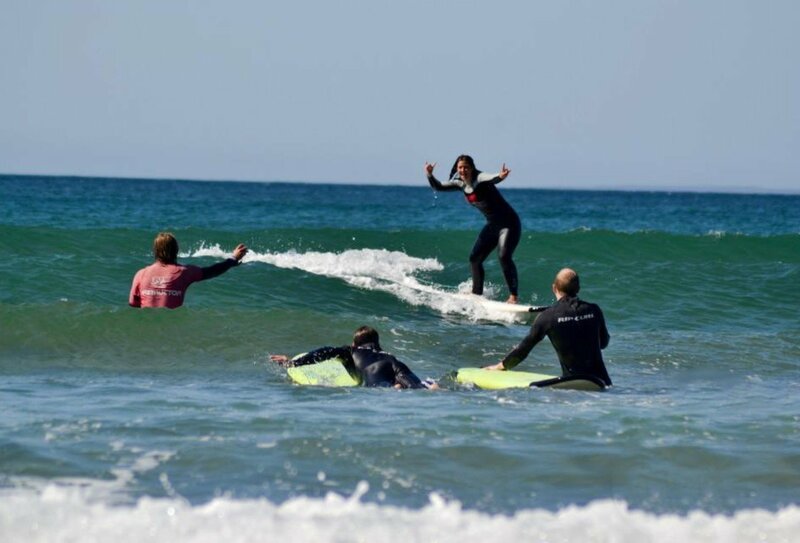 Learn all the moves from experienced surf instructors as you learn to stand, paddle and soar through the surf. Catch the waves during the day and relax with your newfound surfing buddies at Surf Camp at night. 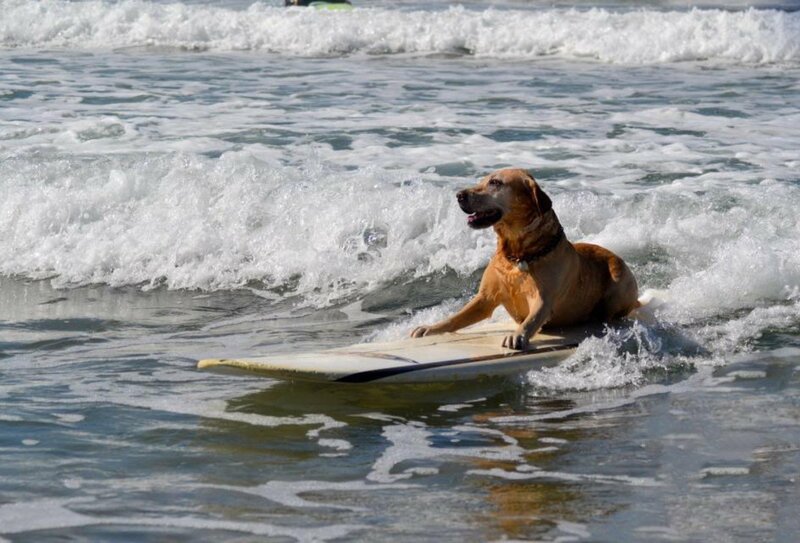 Surf’s up! 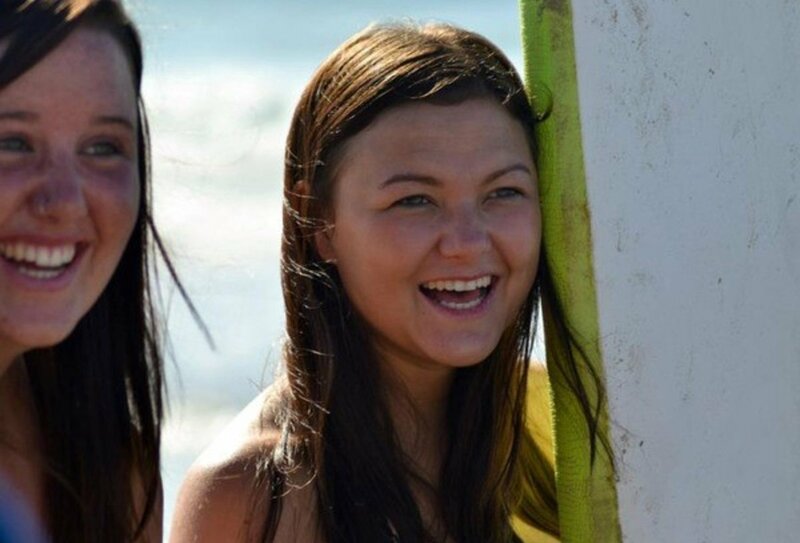 Happy after a day of catching waves! Day 1, Monday: Pick up in Sydney at 9am, travel on to Gerroa Beach. A quick 2-hour journey from Sydney to Surf Camp at Gerroa. Surf’s up straight away as you get started with your first surf lesson. Day 2, Tuesday: Full day surfing. Evening at Surf Camp or local pub with your surf buddies. Day 3, Wednesday: Full day surfing. Relax, watch today’s video footage showing your new moves. Day 4, Thursday: Full day surfing. Take it easy back at camp ready to show off all you’ve learnt tomorrow. Day 5, Friday: After final full day surfing, travel back to Sydney, arriving around 6pm. Evening out at a Sydney bar. Tour ends. You will be picked up from a central Sydney hostel at 9am on day 1 (Monday) and transferred by luxury coach to Gerroa, one of Australia’s best surfing locations. You’ll need to make sure you’re at the Sydney departure point at least 10 minutes beforehand. Because of this we recommend that you arrive into Sydney at least the day before (Sunday). We will be happy to make a reservation at the hostel on your behalf should you need. 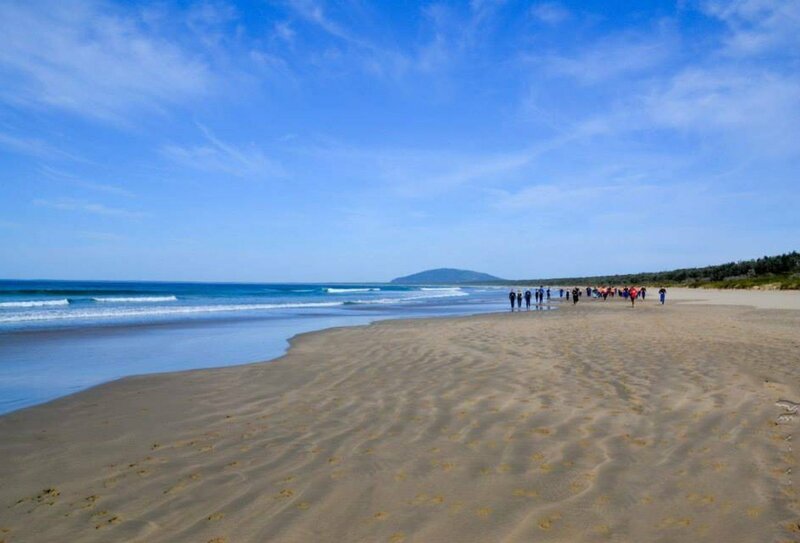 Gerroa is situated just 2 hours south of Sydney, at the northern end of Seven Mile Beach and the head of Crooked River. Your week finishes back in Sydney on the Friday at 6pm. 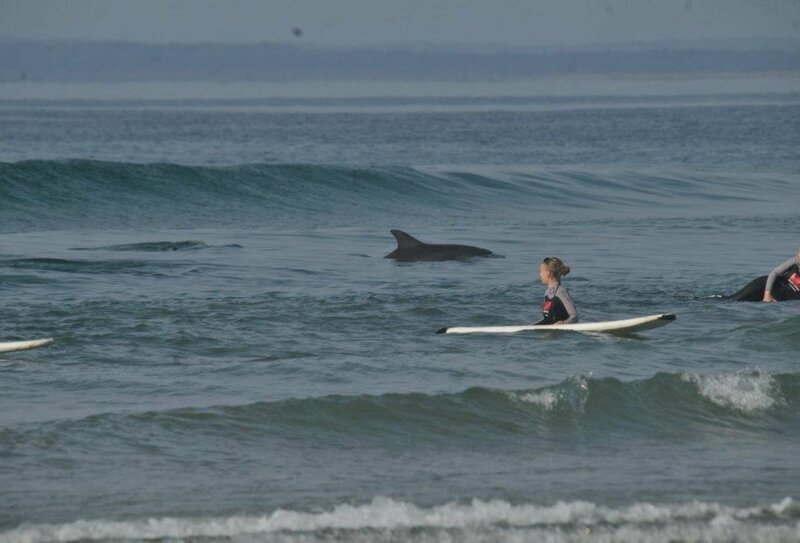 Four nights’ of accommodation is included, at a Surf Camp located only a few metres from the beach. You’ll hear the surf calling in your dreams! The custom-built Surf Camp has a swimming pool, hot showers, hammocks, internet, laundry and cafe. Look out for our resident possum! After a hard day’s surfing you can chill back at camp and watch a DVD, visit the local pub to watch the sun set, or hang out and get to know your new surf buddies. Rooms are in beachside cabins, which are six-berth mixed dorm, and each cabin has a cool balcony for chilling on. Upgrades to private/double rooms can be requested at the time of booking for an additional cost. Bedding and fresh linen is provided. The sleeping cabins surround a shady outdoor dining and entertainment area. All meals are included and there’s always plenty of tasty food on offer, including traditional Aussie BBQs. Vegetarian options are available and other special dietary needs can be accommodated on request. At the end of the week, round off your surf experience with a Friday night out with your surf instructors and buddies back at one of Sydney’s most buzzing bars. We have a minimum age requirement of 18, and all visitors to Australia (excepting those from New Zealand) will require a visa or Electronic Travel Authority (ETA) to enter. These must be applied for before departure, and if you’re planning on working in Australia whilst you’re out here, you’ll need a Working Holiday Visa. If you are just heading to Australia for fun however, an ETA should suffice. Both visas can be applied for online.